Welcome to a new series of articles, designed to help you determine whether a starting hand is good or not. In each issue, we will go into a new matchup and provide a series of randomly generated hands and give insight into whether they are good or bad. We will start with a famous one first. 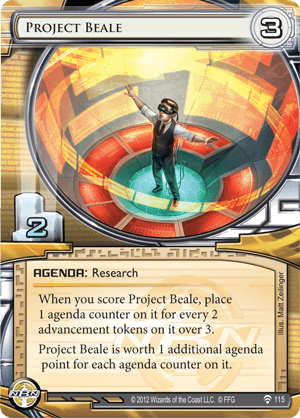 You are Chris Dyer playing your Worlds winning decklist Controlling the Message (CtM).Your opponent is Ben Ni, on DLR MaxX. It is the finals, and if you win this game you are the new Worlds Champion, but if you lose, you still have a second shot at victory. In reality, Chris lost this game. However, looking at the videos, it is reasonably clear that he was quite flooded and luck was not exactly on his side. (Not to detract from Ben’s amazing play, he still definitely deserved his win here). 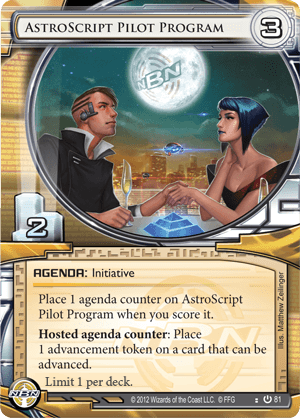 In order to understand whether to Mull or Keep, it is worth noting what the game plan of both of the decks are. CtM wants to ice HQ to protect against Siphon (and DDoS Siphon) as well as install a lot of high value assets that MaxX can’t deal with. 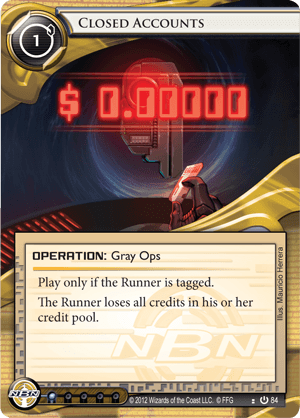 It eventually closes the game with either SanSan City Grid (SSCG) and fast advance; Exchange of Information (EOI) on a Breaking News (BN) for a Global Food Initiative (GFI), or just regular gear checking on a remote. The most important asset is Sensie Actors Union, as it pulls all the cards that you need to start rolling this gameplan out. CtM would ideally like to have multiple Commercial Bankers Groups (CBG) out as well, giving them enough money to trash the key pieces of the DLR combo before they win the game. DLR MaxX wants to set up its Data Leak Reversal (DLR) engine as quickly as possible, with Wireless Net Pavillion (WNP), multiple Fall Guys and multiple DLR, with Siphon in tandem to keep the corp too poor to trash. MaxX is not afraid to get tagged, but she would prefer to not go tag-me until the Corporation has wasted its own valuable resources in pushing the tags, otherwise they risk Closed Accounts and Psychographics, as well as having valuable resources trashed before they can be used. MaxX can use Scrubber to hopefully keep assets under control, but she otherwise typically operates poorly until a Siphon goes off. 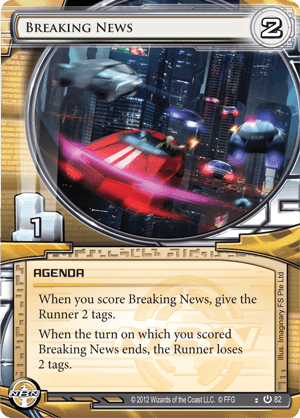 An ideal DLR MaxX game against CtM involves stealing no agendas and winning entirely off mill, as this disables the threat from EOI. However, stealing agendas is still worthwhile in the pursuit of keeping remotes contested and preventing the Corp from naked scoring the win. Protect against Account Siphon. This is the most important goal in an opening hand. Pressure MaxX to keep her from setting up. This is also important in an opening hand. 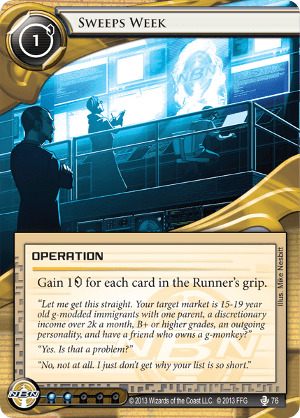 Assemble your long-term win condition. This is a minor goal in an opening hand. These cards are labelled as great or good entirely on their strength in an opening hand, and not on their overall ability to win the game. This is why strong cards like EOI are not on this list. For each hand we will evaluate their capacity to reach these goals, as either: strong, good, average, mediocre, weak or terrible. Hand 1 – AstroScript, Resistor, Exchange of Information, Resistor, Commercial Bankers Group. Against DLR MaxX, Resistor is your MVP ICE. 0 to rez, ETR, and gains strength with each tag they take. This hand has 2 Resistors, allowing you a strong start to disable the Siphon threat. CBG is a high value asset that helps you keep up pressure against MaxX, as she does not have the standard Anarch recurring 3 credits to trash this. The AstroScript is likely safe as HQ is not a high priority target for MaxX, and will be useful if it can be scored quickly. Ideal Turn 1 Play: Install Resistor on HQ; Install Resistor on HQ; install CBG in a new server. Sensie Actors Union is an incredibly high impact asset, and a naked Global Food Initiative is often a smart play against DLR MaxX to force a later EOI trade. 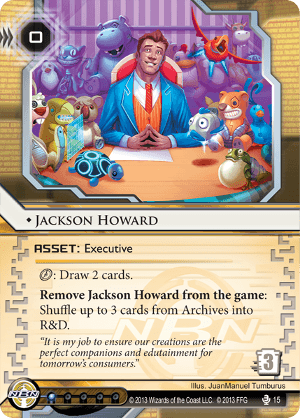 Jackson Howard is also super useful for the extra draw he can give you for pushing out pressure pieces. However a hand without ICE is going to lose a lot of Tempo to DLR MaxX, allowing both T1 Account Siphon as well as future DDoS+Siphon when you finally find the ice. There is a lot going for this hand but not enough to justify it as a keep. This hand has two agendas that you do not want stolen, some weak ICE on HQ that potentially makes Siphon even worse, and some tag punishment that you’d prefer mid-late game. This hand is only useful as an HQ ICE bluff and for containing some weak pressure, and otherwise would be terrible. Hand 4 – Closed Accounts, Hedge Fund, PAD Campaign, Mumbad Virtual Tour, Sweeps Week. None of the assets here are particularly high impact, however a naked MVT is a great thing for the runner to hit, and the closed accounts gives some value if they hit it and keep the tag. PAD campaign provides a small amount of Siphon resiliency as does Sweeps Week. The lack of ICE is the main thing that kills this hand. This is essentially a worse version of Hand 2, which we have already deemed worthy of a mulligan. Not a great hand. However, ICE for HQ, naked GFI for later EOI shenanigans and a Sensie as a strong asset are all great. Having two ICE is also helpful to stop DDoS+Siphon. 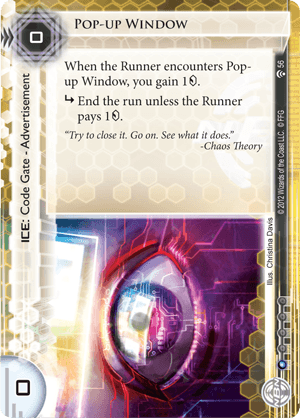 Ideal Turn 1 Play: Install Resistor on HQ; Install Pop-up Window on HQ; Install Sensie in a new server. This is a great hand as CtM. Two assets that require immediate attention and an ICE on HQ to help with the siphon threat. Ideal start here is install Sensie, Install Commercial Bankers Group, install Turnpike on HQ. If CBG survives then you can even rez Turnpike and still have enough for Hedge Fund next turn. 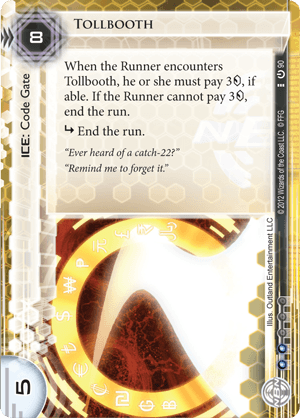 The downside of Turnpike is that it does not end the run, so MaxX might be willing to take tags to pull off a Siphon, but you can use the trace to keep your credits low and reduce the tempo swing that Siphon causes. Ideal Turn 1 Play: Install Turnpike on HQ; Install CBG in a new server; install Sensie in a new server. Hand 7 – Sweeps Week, Sweeps Week, Turnpike, Hard-Hitting News, Global Food Initiative. This hand has ICE for HQ and money, but no powerful assets. It has the potential to enable the tags very early. However, DLR MaxX won’t fight the tags, because you’ve had to suffer a large tempo hit to deliver them. 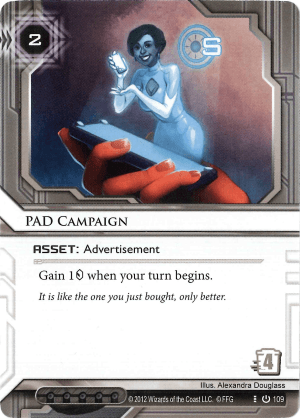 If you are not installing assets within the first few turns you are likely losing as CtM, and this hand doesn’t simply doesn’t have any assets. 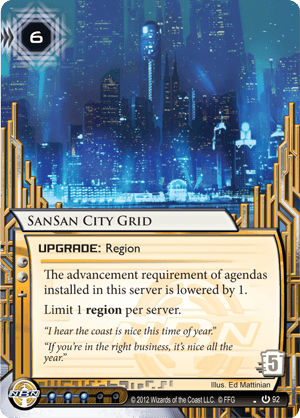 SanSan is a nice card that enables some Siphon resiliency if you gain a credit first, and CBG is a high impact asset. The Jackson allows you strong draw to keep up the pressure and the MVT has potential here too. The biggest issue with this hand is the same as Hand 2, in that it has no ice to protect from the Siphon threat. 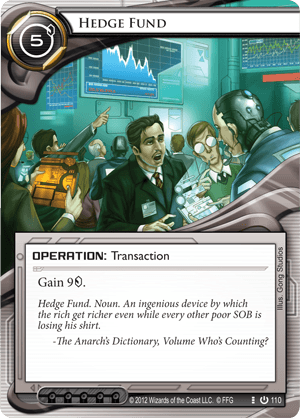 This hand has some Siphon resiliency but it requires you to play the Hedge Fund first to achieve it. CBG and MVT are both reasonable pressure against DLR MaxX. This is not a great hand, but it has enough to consider it a keep. Ideal Turn 1 Play: Install Tollbooth on HQ, Play Hedge Fund, Install Pop-Up Window on HQ. Money + Sensie + Jackson is good for pressure, but the two Beales are a liability that you don’t want at this point and there is absolutely no Siphon protection. Four out of ten hands were keepers. Overall, 50% of hands should be kept and 50% mulled, but variance means it can swing up or down a fair bit. Special thanks to everyone who helped me moderate this list, especially Chris Dyer (@nemeniah) and Ben Ni (@beyoken) for their first-hand experience contributions. Shout outs to @terrificy for the article idea, and to @simonmoon, @thebigboy, @tclifford for editing help. This is the first article in what will hopefully continue to be a series about various decks and matchups. Please comment if you enjoyed it, or have any disagreements on the verdicts mentioned here, or even if you just have a matchup you’d really like to see represented in a future article.